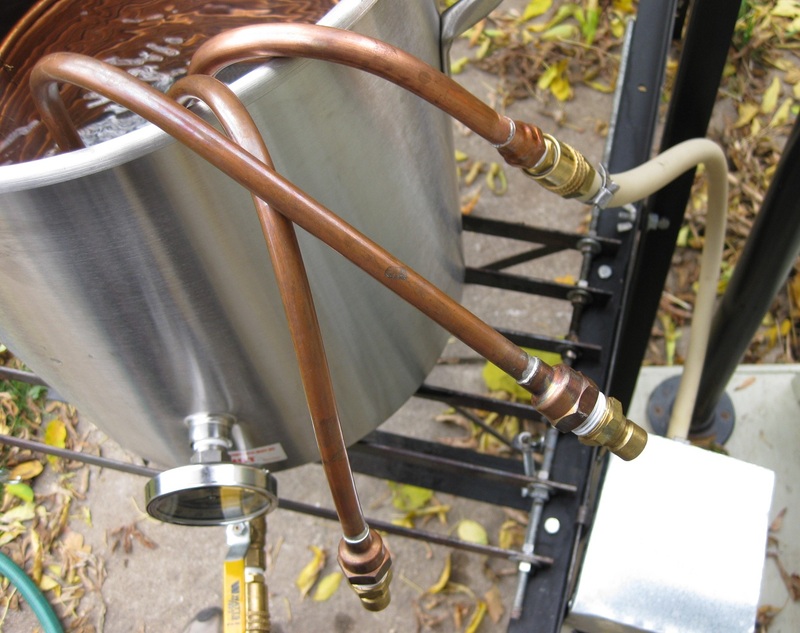 I use an immersion chiller along with a recirculation system a la Jamil in order to speed wort cooling and to better precipitate trub. Just like Jamil’s I use a March pump to drive the system. The only interesting part is the wort inlet, and calling it interesting is a stretch! 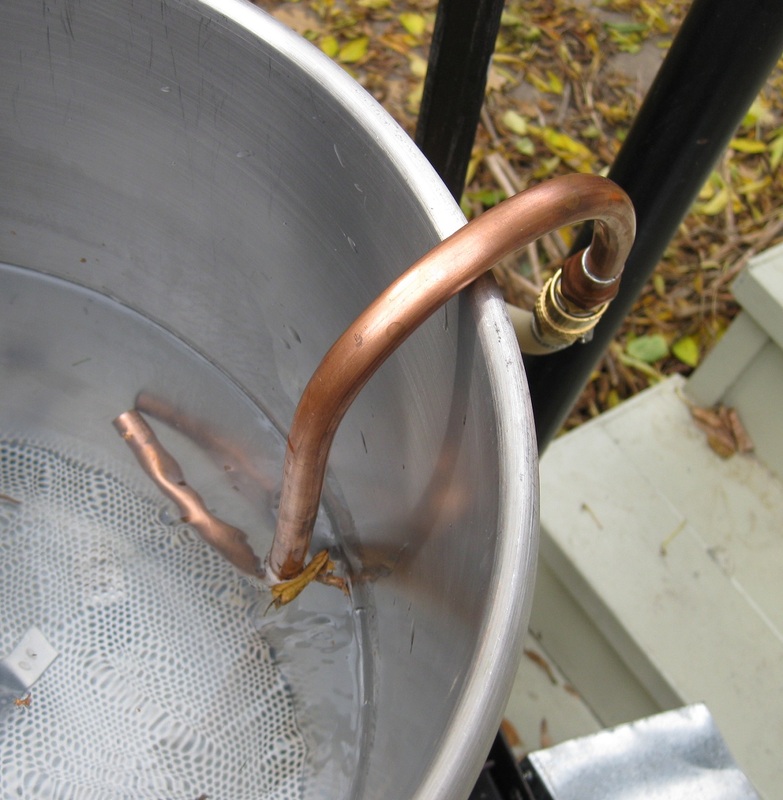 It’s a length of 3/8″ ID copper bent into an ‘S’ shape such that it hangs off the side of the kettle. On the “in” side is a 3/8″ quick disconnect plug. 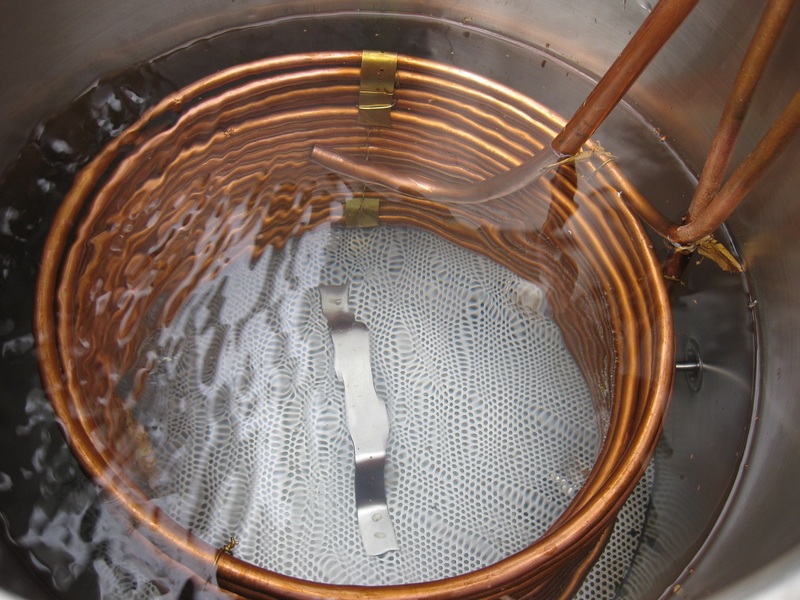 The wort inlet fits on either the inside or outside of my chiller, but it seems to produce a better whirlpool on the inside. It likely doesn’t matter that much however as the main goal of the chiller setup is to keep the wort moving across the coils for speedier cooling. The off-white hose is coming off of my March pump which is drawing wort from the kettle valve. After the beer gets cool enough I remove the chiller and let it whirlpool unobstructed for a few minutes and then let it settle for 10 minutes. This results in a nice cone of trub. 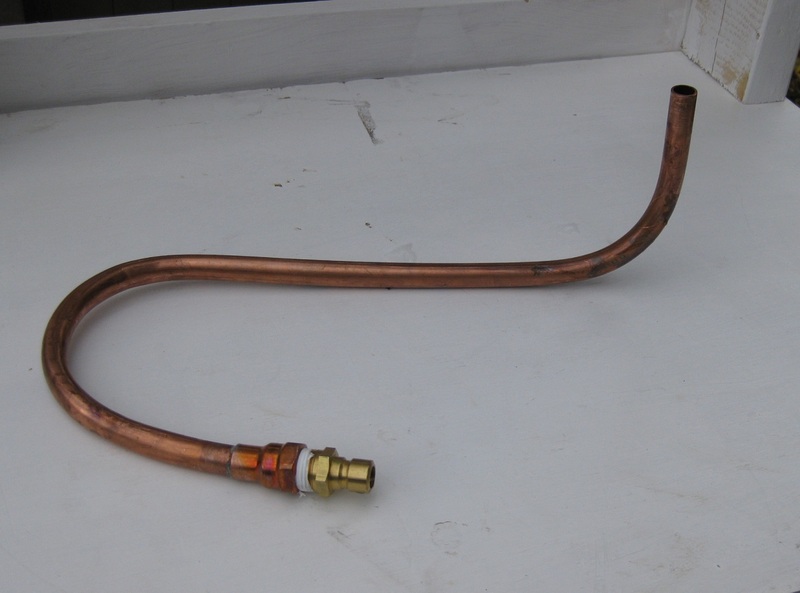 I see this whirlpool return here, and also saw another whirlpool return elsewhere on your site that looked to be made if straight copper piping w 90 degree fittings. Which one is newer and which one are you using now? I just put together a similar one to what you have here. I’m using the simpler one-piece return right now. The one build with the 90 degree fittings was harder to clean and clumsy; simpler is usually better! Ahh good to hear 🙂 ill be trying mine out shortly.